I don&apos;t want to build a snowman, or trip on toys all down the halls. I think some outdoor time is overdue. I&apos;ve started talking to the pictures on the walls. Had enough of being "Frozen" in the cold and snow of winter? I know I have. Now that we&apos;re in March, I&apos;m ready for Spring to spring at any moment. And when it does, I already have my favorite Spring activities in Hendricks County picked out. Did you miss the first Maple Sirup Day at McCloud Nature Park outside of North Salem last weekend? Have no fear, you can enjoy the annual event this Saturday, March 7 from 9 a.m. to 4 p.m. Be sure to call ahead to (317) 718-6188 to reserve your spot at the Pancake Breakfast between 8 a.m. and 3 p.m., too. For more information about Maple Sirup Days, click here. 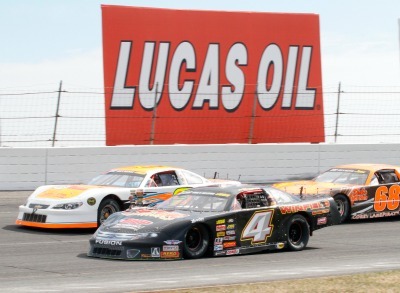 The green flag drops on the racing season at Lucas Oil Raceway in Brownsburg on March 28 and 29 when the Late Model Sportsman and Street Stocks series of the Champion Racing Association come to town to battle it out on the .686-mile oval track. Visit Downtown Danville from March 30 through April 4 to play a round of putt-putt golf at local businesses. The Play-a-Round Downtown event is a free, family activity taking place during normal business hours where people of all ages can check out local businesses and take a crack at the putting green created by each vendor. Play 18 holes, and you could win a VISA gift card! Ready to do some spring gardening? McCloud Nature Park is hosting a native plant sale on April 18 from 9 a.m. to 4 p.m., offering over 1,000 plants from dozens of species that are native to Indiana. Naturalists will be on-hand to educate gardeners about bloom times, optimal planting environments and ecological benefits to planting native species. Danville Parks and Recreation is hosting a downhill derby soap box car race on April 26 in Ellis Park. Come see racers ages 8 and up compete in a gravity-powered race down a hill in their soap box derby car. Racers will compete in one of two classes -- "just for fun" and "competitive" -- and there will be two age categories within each class. One of my personal favorite community activities is First Friday Cruise-Ins on the historic Hendricks County Courthouse Square in Danville. 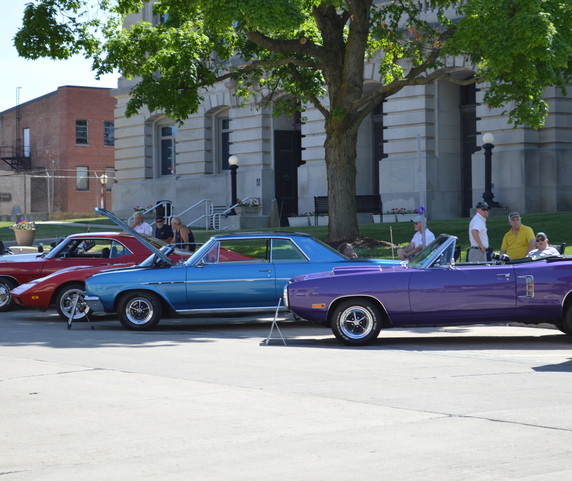 On the first Friday of each month between May 1 and Oct. 2, restored classic cars park on the Courthouse Square providing families with a free opportunity to check out these beauties from a time past. The owners generally sit in lawn chairs right behind their vehicles, and they&apos;re always happy to chat about their car that I&apos;m drooling over. Don&apos;t just take my word for it. Check out Sarah Cass&apos; blog post from last year about First Friday Cruise-Ins. On the second Saturday of each month between May 2 and August 8, local artisans will converge on the historic Hendricks County Courthouse Square in Danville to show off and sell their creations during the Danville Handmade Market. This family-friendly event is free to attend and offers a tremendous amount of variety to choose from to add some art to your life. 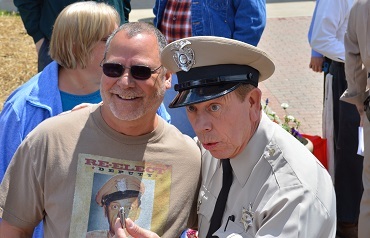 From May 15-17, the Town of Danville will transform into the made-for-TV, fictional town of Mayberry for Mayberry in the Midwest -- a celebration of everything Andy Griffith Show. There will be a pancake breakfast, a parade, nationally-recognized tribute artists, music, actress Maggie Peterson from The Andy Griffith Show, Don Knotts&apos; daughter Karen Knotts and much more. For more information, click here, and keep your eyes on this blog as Mayberry in the Midwest approaches. Lucas Oil Raceway in Brownsburg is the place to be on the night before the Indianapolis 500. On May 23, USAC sprint cars invade the track and battle it out to be king of this prestigious race. There are plenty of other race-related events in Hendricks County that surround the Night Before the 500 and the Indy 500, so stay tuned to this blog for more information as the events approach. Farmers markets are big in Hendricks County, with markets being held in a variety of communities on a variety of dates. This blog post from last year will give you an idea of what&apos;s been out there in the past, and you&apos;ll want to keep in touch with this blog in coming weeks for a preview of this year&apos;s farmers markets. These Spring events are just the tip of the iceberg, so make sure you check out Visit Hendricks County&apos;s Events Calendar frequently for all of the activities taking place in Hendricks County. And hang in there. It won&apos;t be long until that iceberg, a particular talking snowman and all his snowflake buddies find out exactly what happens to solid water when it gets warm.